References to the “Course and Platform” include the course, all content of any kind including video, image, audio, or text content, all related webpages as well as all associated content, and any related application or “app” as well as the technology, systems, services, and related items provided by The Big Know, Inc. that support and deliver such items. The Course and Platform are intended and only suitable for individuals aged 17 and above. Some of the content may not be appropriate for children. Children under the age of 13 are not permitted to use the Course or Platform. We strongly recommend that children between the ages of 13 and 17 ask for their parent’s or guardian’s permission before using the Course or Platform. The Big Know, Inc., is also referred to as “us,” “our”, “The Big Know, Inc.,” or similar terms. “You” means you, the person using or viewing the Course and Platform, creating an account, as well as any person who has rights through you or any person or entity on whose behalf you are using the Course and Platform. We reserve the right to change, modify, and update these Terms at any time and you agree to be bound by those changes, modifications and updates. If you violate any of the Terms, your authorization to use our Course and Platform, all licenses granted terminate automatically, and you may be liable for additional damages. Any rights not expressly granted to you are reserved to The Big Know, Inc., Blue Zones, and/or our third party licensors. Blue Zones is Responsible for Content. This Course and Platform are for General Educational Purposes and for Fun.  All the specific course content, including but not limited to data, videos, photos, information, text, graphics, links and other material (collectively, the “Content”) is reviewed and approved by Blue Zones. If you are dissatisfied with the Content in any way and/or if you have any claim that arises from the Content, you shall pursue such matter and/or bring such claim with Blue Zones and not with The Big Know, Inc. The Course and Platform and are intended for your general educational and entertainment purposes. Because of the general nature of the Content, some Content may not be appropriate for you or your situation. The Content is not legal advice, medical advice, construction or building advice, or any other type of professional or licensed advice. While we hope you find the Content useful and informative, the Content is not accredited towards any degree, license or certification. You should seek your own professional advice when appropriate or any time you want advice specific to your own unique situation. Rules for Using and Posting. The terms in this section apply if the Course and Platform permit Posting. You agree that we have a right and license to use and take other actions with your Postings as reasonably necessary for The Big Know to provide the Course and Platform, provide our related services, and as otherwise explicitly permitted in these Terms (for example to protect our rights). You agree that in your use of the Course and Platform, including those portions that include a social element or communications tool. You will not post, upload, transmit or link to (collectively, “Post”) any material that violates any law or regulation. You will not Post any material, websites or other information or content that is defamatory, false, obscene, vulgar, offensive, violent, abusive, threatening, harassing, discriminatory, or an expression of political or hate speech. You will only Post materials (including photos, audio or video) for which you own the copyright (for example, you took the photo yourself) or that are in the public domain. You may not violate, plagiarize, or infringe on the rights of third parties, including copyright, trademark, trade secret, privacy, personal, publicity, moral or proprietary rights. You are responsible for all Postings or other activity performed using your username and password. You will not Post any software or other material which contains a virus or other harmful code or device. You will not take any action designed to interfere with or disrupt the operation of the Course and Platform. If you choose to Post items, such material, information, photographs and other information you post in these public or group areas is available to the other individuals using the Course and Platform and we do not warrant, guarantee or otherwise take steps to prevent other users from copying, modifying, displaying, uploading, transmitting or otherwise using your material, information, photographs or other information. Always use caution in Posting personally identifying information, as these postings will be deemed public and non-confidential. You will not impersonate any other person or use a false identity. You will not attempt to access any account or information of any person other than yourself. You will not scrape or otherwise harvest data regarding others using the Course and Platform. You will not Post personal or private information regarding anyone other than yourself (for example, you will not Post a telephone number, financial information or address information regarding another person or a picture of another person). You will not solicit other users, or distribute advertising, for products or services through the Course and Platform, distribute chain letters or messages, mass mailings or bulk email or other bulk messages, or gather email addresses or other contact information for the purpose of sending bulk email or other messages. The Big Know, Inc. does not endorse any products, services, or other item appearing on the Course and Platform or other websites linked to it or from it. You agree that if you are dissatisfied with any such product, service or item or if you have a legal claim arising from or related to any such product, service or item, The Big Know is not responsible or liable for any such product, service or item, and you will pursue such matter only with the appropriate third party and not with or against The Big Know. All access to this Course and Platform is voluntary and at your own risk. The Big Know, Inc. does not warrant the accuracy of any Content. The Big Know, Inc. does not warrant the completeness or correctness, timeliness, or usefulness of any opinions, advice, services, merchandise or other materials provided through the Course and Platform. The Big Know, Inc. is not liable for any decision made or action taken or omission made in reliance upon the Content. Certain portions of Course and Platform may permit other users to post images, messages, comments, or other content. Any such item is only the opinion of the poster, is no substitute for your own research, and should not be relied upon for any purpose. The Big Know, Inc. does not endorse or warrant any such user-postings and has no liability for any such user-postings. The Course and Platform is provided on an “as is” and as-available basis without warranty of any kind, express or implied, including, without limitation, warranties of title or noninfringement or the implied warranties of merchantability or fitness for a particular purpose. The Big Know, Inc. does not warrant that the use of this Course and Platform will be uninterrupted and cannot guarantee that this Course and Platform is free from viruses or other contaminants that may damage your computer or its data. The Big Know, Inc. may discontinue or modify all or a portion of the Course and Platform at any time without notice. Remedies and Limitation of Liability. You agree to defend, indemnify, and hold harmless The Big Know, Inc., our vendors and advertisers, and all of their subsidiaries, affiliates, officers, directors, employees, and agents (collectively, the “Course and Platform-Related-Parties”) from any claim, demand, or damage, including reasonable attorneys' fees, arising out of or related to your breach of these Terms or your use or misuse of the Content or Course and Platform. YOU AGREE THAT NONE OF THE COURSE AND PLATFORM-RELATED-PARTIES SHALL BE LIABLE FOR ANY DAMAGE RESULTING FROM YOUR USE OR INABILITY TO USE THIS COURSE AND PLATFORM OR THE CONTENT. THIS PROTECTION COVERS CLAIMS BASED ON WARRANTY, CONTRACT, TORT, STRICT LIABILITY, AND ANY OTHER LEGAL THEORY. THIS PROTECTION COVERS ALL LOSSES INCLUDING, WITHOUT LIMITATION, DIRECT OR INDIRECT, SPECIAL, INCIDENTAL, CONSEQUENTIAL, EXEMPLARY, AND PUNITIVE DAMAGES, PERSONAL INJURY/WRONGFUL DEATH, LOST PROFITS, OR DAMAGES RESULTING FROM LOST DATA OR BUSINESS INTERRUPTION. THE TOTAL, CUMULATIVE, LIABILITY OF THE COURSE AND PLATFORM-RELATED-PARTIES, INCLUDING ALL AFFILIATES, AND THEIR OFFICERS, DIRECTORS, EMPLOYEES, AND AGENTS, IF ANY, FOR LOSSES OR DAMAGES SHALL BE LIMITED TO THE AMOUNT OF YOUR ACTUAL DAMAGES, NOT TO EXCEED THE AMOUNT YOU PAID DIRECTLY TO THE BIG KNOW, INC. SPECIFICALLY FOR THE USE OF THE COURSE AND PLATFORM. THIS LIMIT OF LIABILITY MAY NOT BE EFFECTIVE IN SOME JURISDICTIONS. ALL OTHER DAMAGES, DIRECT OR INDIRECT, SPECIAL, INCIDENTAL, CONSEQUENTIAL, EXEMPLARY, OR PUNITIVE, RESULTING FROM ANY USE OF THE COURSE AND PLATFORM OR CONTENT ARE EXCLUDED EVEN IF THE COURSE AND PLATFORM-RELATED-PARTIES HAVE BEEN ADVISED OF THE POSSIBILITY OF SUCH DAMAGES. YOU AGREE THAT YOUR USE THIS SITE AT YOUR OWN RISK. IF YOU ARE DISSATISFIED WITH THIS COURSE AND PLATFORM OR THE CONTENT, YOUR SOLE AND EXCLUSIVE REMEDY IS TO DISCONTINUE USING THE COURSE AND PLATFORM. IF YOU PURCHASE AN ITEM FROM A THIRD PARTY THROUGH OR LINKED TO THE COURSE AND PLATFORM, YOU AGREE THAT FOR ANY DEFECT OR ISSUE WITH SUCH ITEM, YOU WILL SEEK A REMEDY SOLELY AND EXCLUSIVELY FROM SUCH THIRD PARTY, AND NOT FROM THE BIG KNOW, INC.
We May Terminate or Suspend Your Access. If you breach any of these Terms your license to access and use the Course and Platform terminates immediately and automatically and without notice. Upon the termination of this license you must stop using this Course and Platform, including all Content, and return or destroy all copies, including electronic copies, of the content in your possession or control. We may also terminate and delete inactive accounts including all information and data associated with such accounts. We May Change the Course and Platform. Although Blue Zones is responsible for the Content, as to all other elements of the Course and Platform, as between you and The Big Know, The Big Know, Inc. reserves the right, at any time, at our own discretion to: (1) Change, add or remove portions of these Terms; (2) Change or discontinue the Course and Platform in whole or in part, including eliminating or discontinuing any feature, functionality, or other technical element of the Course and Platform; or (3) Terminate or restrict any user or account or user if we, in our sole discretion, determine that you may have breached any of these Terms and/or your conduct may potentially harm The Big Know or any third party. Copyright Infringement – DMCA Notice. The Digital Millennium Copyright Act (the “DMCA”) provides remedies for copyright holders who believe in good faith that material appearing on the Internet infringes their rights under copyright law. If you believe in good faith that Content or material on the Course and Platform infringes a valid copyright owned by you, you (or your agent) may send The Big Know, Inc. a notice requesting that the material be removed, or access to it blocked. This request should be sent to: support@thebigknow.com or to: The Big Know, Inc., Attn: Copyright Legal Notice, 110 N. 5th Street Suite 520, Minneapolis, MN 55403, USA. The notice must include the following information: (a) a physical or electronic signature of a person authorized to act on behalf of the owner of an exclusive right that is allegedly infringed; (b) identification of the copyrighted work claimed to have been infringed; (c) identification of the material that is claimed to be infringing or the subject of infringing activity; (d) the name, address, telephone number, and email address of the complaining party; (e) a statement that the complaining party has a good faith belief that use of the material in the manner complained of is not authorized by the copyright owner, its agent or the law; and (f) a statement that the information in the notification is accurate and, under penalty of perjury, that the complaining party is authorized to act on behalf of the owner of an exclusive right that is allegedly infringed. If you believe in good faith that a notice of copyright infringement has been wrongly filed against you, the DMCA permits you to send us a counter-notice. Notices and counter-notices must meet the then-current statutory requirements imposed by the DMCA. Notices and counter-notices with respect to the Course and Platform should be sent to the address above. The Course and Platform are not targeted to users in any particular locality nor are they intended to constitute the doing of business in any jurisdiction other than Minnesota, USA. The Course and Platform are a service provided by The Big Know, Inc. and this does not constitute any contact with any jurisdiction outside the State of Minnesota. Use of the Course and Platform is prohibited in any jurisdiction having laws that would void these Terms in whole or essential part or which makes accessing the Course and Platform illegal. The essential parts of this Agreement include, without limitation, the exclusive venue and exclusive remedy provisions, warranty disclaimers, and limitation of liability. This Agreement is entered into and performed in the State of Minnesota, United States of America. It is governed by and shall be construed under the laws of Minnesota, exclusive of any choice of law or conflict of laws provisions. In any claim or action directly or indirectly arising under this Agreement or related to the Course and Platform, The Big Know, Inc. and you irrevocably submit to the personal jurisdiction of the Minnesota State District Court sitting in Hennepin County, Minnesota or of the United States Court for the District of Minnesota, and agrees to bring any claim related to the Course and Platform in such courts. Each party waives any jurisdictional, venue or inconvenient forum objections to these courts. As part of the registration / account creation process for this Course and Platform you will select a user name and password. You are responsible for keeping this information confidential, and you agree that you are responsible for any actions taken by any person to whom you have provided your user name and password. While we take certain measures designed to protect the confidentiality of your information, due to the nature of the Internet we cannot and do not guarantee that all information will remain secure. Under certain circumstances, it is possible that third parties may be able to intrude on the server or other computers storing data and view your information. By submitting information to this Course and Platform, you agree that you are aware of these risks. If you do not wish to submit your information electronically, do not do so, however in such case you may not be able to make use of the full functionality of this Course and Platform. You agree that The Big Know, Inc. is not responsible for any consequence of illegal or unauthorized acts by third parties, including but not limited to hacking or similar crimes. You may not assign any rights or obligations under these Terms. The Big Know, Inc. may assign all or part of these Terms. You agree that any use of the Course and Platform that is not explicitly authorized is a breach of contract, unauthorized access of a protected computer, and violation of The Big Know, Inc.’s intellectual property rights including copyright rights, in addition to any and all other claims The Big Know, Inc. may have against you. Before seeking legal recourse for any harm you believe you have suffered arising from or related to your use of the Course and Platform , you agree to inform us in writing and to give us thirty (30) days to cure the harm before initiating any legal action. You must initiate any cause of action within one year after the claim has arisen, or you will be barred from pursuing any cause of action. All sections of these Terms which, by their nature are designed to survive expiration or termination of this Agreement, shall survive, including but not limited to: Remedies and Limitation of Liability, Jurisdiction and Venue, and General Rules. No waiver of any of these Terms shall be deemed a further or continuing waiver of such term or condition or any other term or condition. If any of the provisions of these Terms are held unenforceable by a court or other tribunal of competent jurisdiction, then those provisions shall be limited or eliminated to the minimum extent necessary to allow the remainder of these Terms to retain its full force and effect. These Terms constitute the entire agreement between you and The Big Know, Inc. applicable to this subject matter. The Effective Date of these Terms is January 17, 2017.